Last weekend I heard a funny joke that went something like this “how do you hurt Lady Gaga? Poke her face.” Good one, eh? All silly jokes aside, I’d like to give you, loyal Little Monster, a chance to see her in Las Vegas, and maybe even call her and talk to her during the show. Well, I don’t know about the “calling her during the show” part, but at least you’d be able to call your other dedicated and jealous Lady Gaga friends from backstage as you meet-and-great Gaga yourself. If you win, that is. After my Lady Gaga conversion experience during the AMA’s, I thought it would only be right to pass along this contest info from Earloomz, LLC who’s celebrating their Lady Gaga Bluetooth earpiece launch by sending two lucky winners to meet Gaga at her sold-out concert in Las Vegas on August 13, 2010. If you haven’t see her live yet, this just might be your chance to have a fully realized Lady Gaga concert conversion experience like I will probably have at Lollapalooza next week. Disclaimer: I have not tried out the Bluetooth earpiece so what follows isn’t a review of the Earloomz product. It’s just a fun informational post about a cool concert contest. You dig? Transportation to and from the airport, and concert venue. The winners will then be invited to an exclusive meet-and-greet with Lady Gaga backstage. All you have to do is register online at www.Earloomz.com before midnight August 10, 2010. Or you can register automatically by purchasing a Lady Gaga Bluetooth. Besides the stylish Speechless artwork the earpiece also has Bluetooth 2.1+ EDR technology, noise cancellation, Mic noise reduction, lower power consumption, voice prompt, support multiple devices, and 16-bit resolution audio which can greatly enhance audio quality. Engadget also says that internal rechargeable lithium polymer battery will give you around eight hours of talk time. That means you might be able to use it nonstop during four consecutive Lady Gaga concerts! There’s a lot at stake and the clock’s ticking. 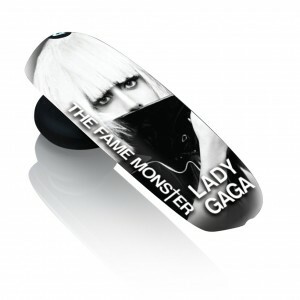 So get going and enter The Experience the Fame Lady Gaga Contest. Have fun, good luck and let us know how it goes! Got A Gaga Concert Story To Share? Tell us all about it and see how other fans are making concert history by sharing their Live Fix Fan Stories.